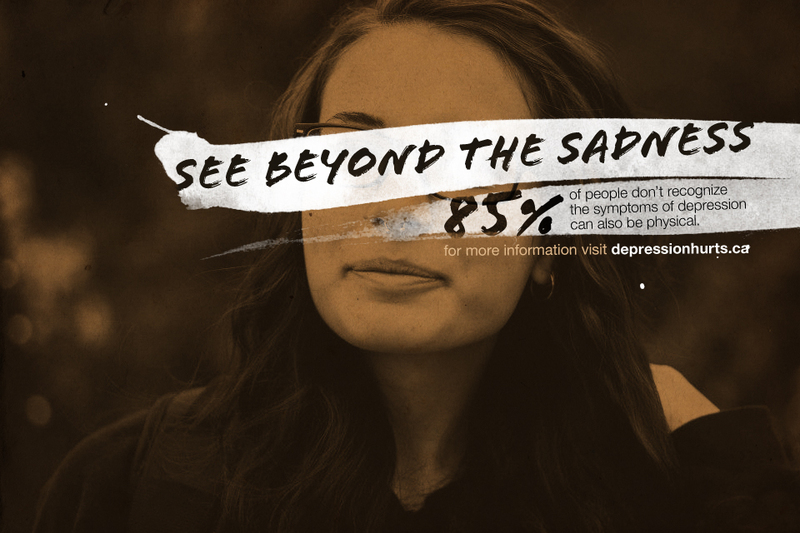 Depression campaigns often use a single image of a sad person looking into the distance. This is not only a terrible stereotype, but it bores the audience and does not connect to people who actually suffer from depression. 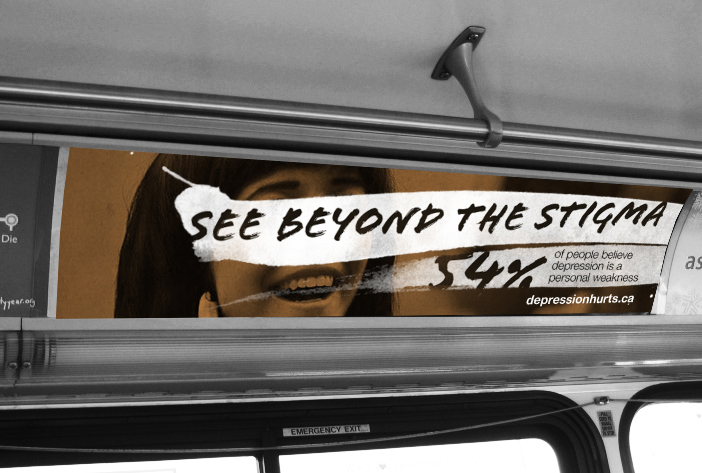 The “See Beyond” campaign wants as many Canadians as possible to be exposed to the available information about depression, so they’ve partnered with Tim Horton’s to print their campaign on Tim’s small coffee cups and napkins. 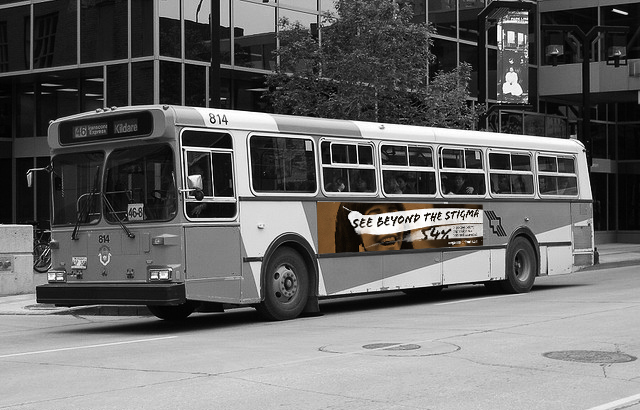 Public transportation systems will also feature advertisments inside and outside of buses. 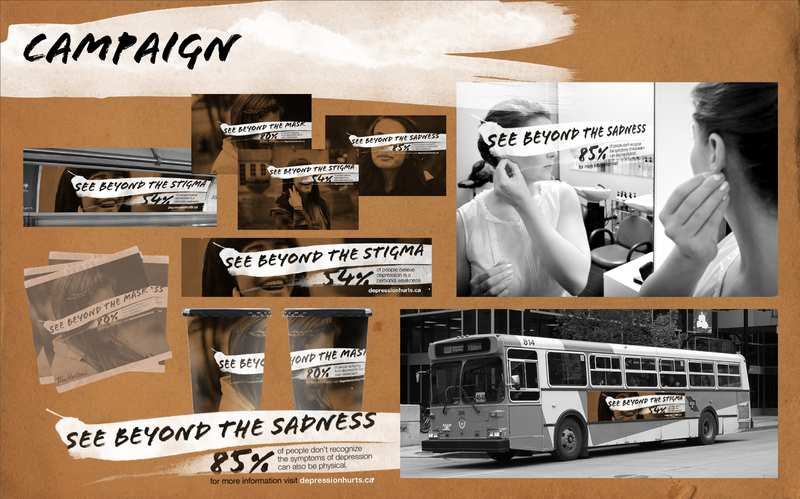 Businesses willing to participate and spread the “See Beyond” campaign will display the message on the mirrors of their male and female washrooms. 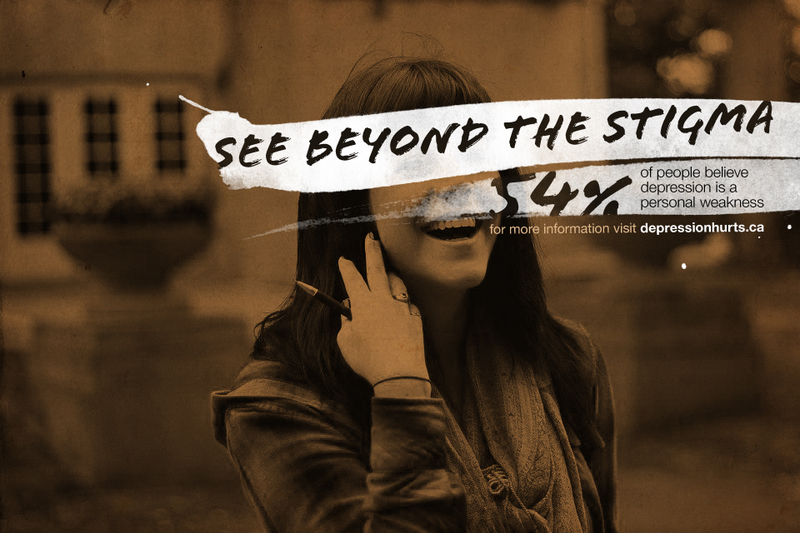 By obscuring the eyes in each photograph (or mirror) the campaign addresses facts about depression people are often blind to. A different approach to get the attention of millions of Canadians. 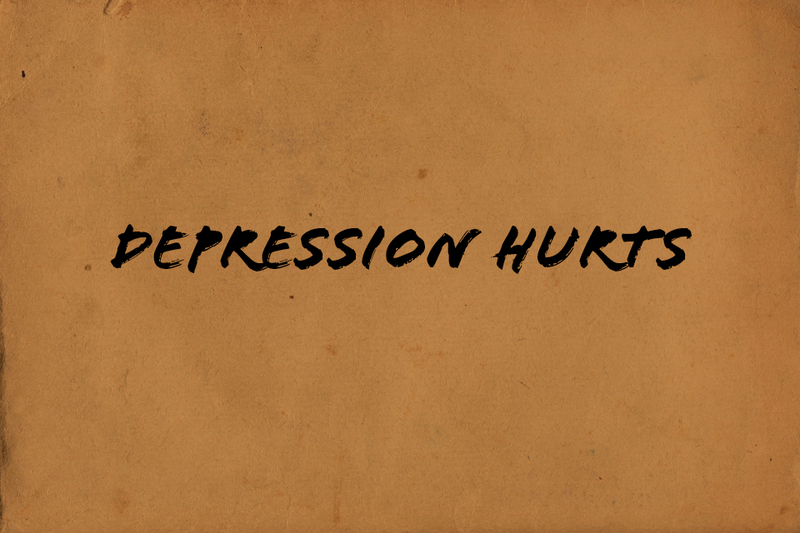 They may themselves suffer from depression, or they may know someone who is. 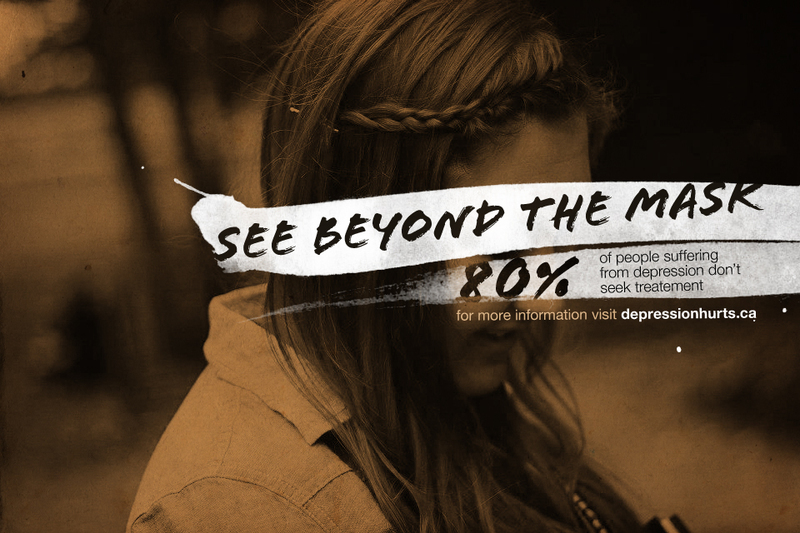 Knowledge is power and depressionhurts.ca is a great tool to better understand it.